A new world A new career! Here at Face Forward we offer the best courses to develop the best students! There has never been a better time to peruse into the Cosmetic Tattooing industry. Year on year the growth in population is growing massively, giving us an even bigger audience to work towards. Becoming a Cosmetic Tattooist gives you the opportunity to make a very healthy income. You can charge anything from £200+ depending on your area and experience. Once you have qualified and set up your insurance your good to go, almost 99% of what you earn will be profit with the overheads being so low. 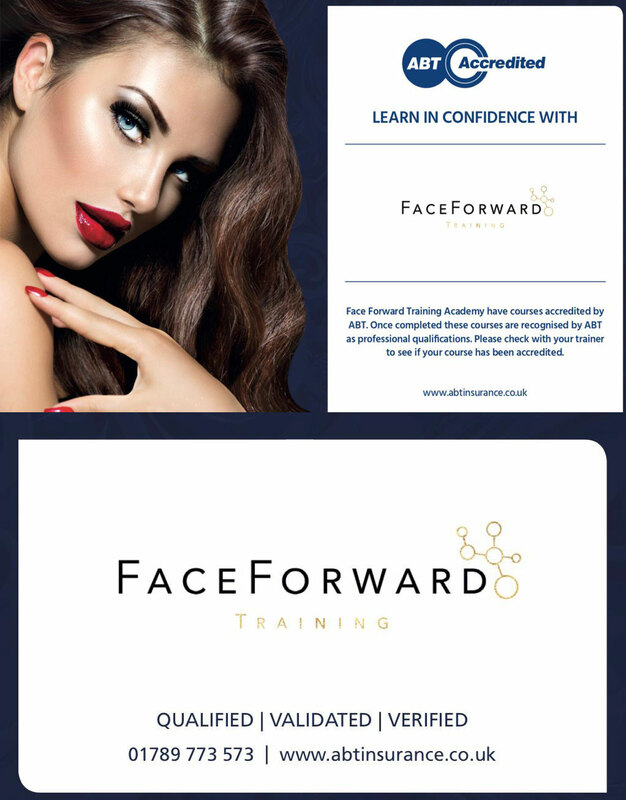 All courses run by Face Forward Training Academy are ABT (Associated Beauty Therapist) accredited and insured. The full kit and machinery are included in the Training and are to the best standards for best results and strictest hygiene. We offer a different price range of courses, email us to find out more! NO qualifications or experience needed! **ALL courses come with Business start-up support, marketing advice and social media guidance. I give 24/7 support after training and I’ll be available for face to face chats, group discussions and extra workshop days if needed! Training with Face Forward Training Academy will give you a recognised ABT accredited certificate. You will qualify for discounted insurance with ABT, discounted Bloodborne online course, ongoing support and starter kits and machines included. BRONZE COURSE – MICROBLADING TRAINING – 2 1/2 Day intense course – £1800 including VAT – Microblading pens and full kit included! SILVER COURSE – SEMI PERMANENT MAKE UP TRAINING – 5 Day intense course – £5400 including VAT – SPMU Machine and full kit included! GOLD PACKAGE – THE BEST OF BOTH COURSE – 5 Day intense including, Semi Perm and Microblading – £6000 including VAT – SPMU Machine, Microblading pens and full kit included! ADVANCED TRAINING – 1 day course for anyone qualified to better their skills – £1200 including VAT – Bring your own kit and materials. The course welcomes you into the massive industry of beauty and semi-permanent skin colouring which is growing consistently year on year. With the population taking over you can charge anything from around £200-£800 depending on your area and compassion for a two hour set of eyebrows! Along with your Face Forward Training, Hannah will complete your attendance with a fully accredited certificate. SEMI PERMANENT EYEBROWS – Using a specialist facial tattooing machine hair strokes and shading techniques are implanted into the Dermis layer of the skin. This way of tattooing is carried out with an extremely gentle, low frequency machine and cartridge needle, feels like an electric toothbrush. Results last around 18 months, longer with maintenance. MICROBLADING – Using microblades tiny precision hair strokes are implanted into the dermis layer of the skin. This way of tattooing is carried out with use of a tiny microblading pen. Results last 6-12 moths, longer with maintenance. Semi Permanent Make Up and Microblading treatments implant pigment into the dermal layer of the skin to mimic the appearance of natural looking brows. Both treatments are done much more superficial than a regular tattoo. Pigments are used not inks, which will fade out of the skin in time. Contact Hannah to find out more with your name, address, age and experience if any. Deposit required followed by monthly payments. Start your beginners journey in 5 days or better your current skills in 2! Colour boosts are advised yearly to maintain. Your initial six week top up appointment starts at £40. This then increases in the first year and yearly after that.